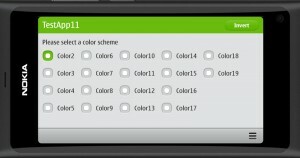 This example application demonstrates how the color scheme can be changed. 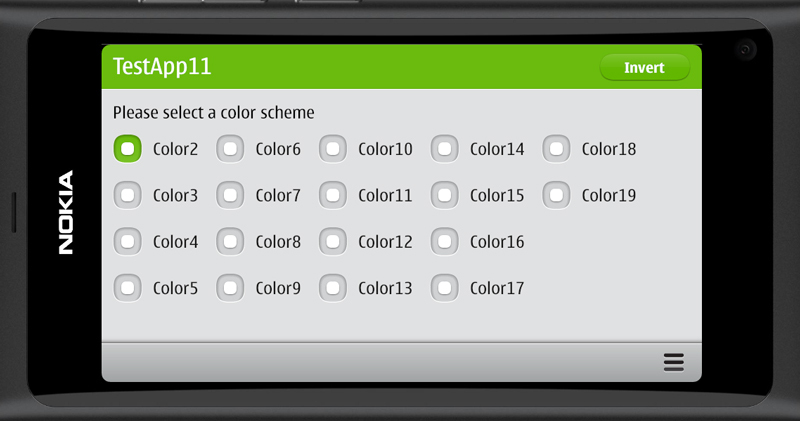 In addition to the base theme there are a total of 18 different color themes available (numbered from 2 to 19). 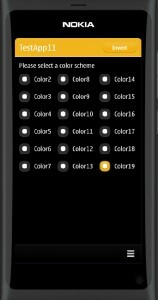 It is actually quite easy to change the theme, you just need to set the theme.colorScheme property in the QML code. The application looks like shown below. This time I tried the build the user interface a bit more like the standard N9 applications. 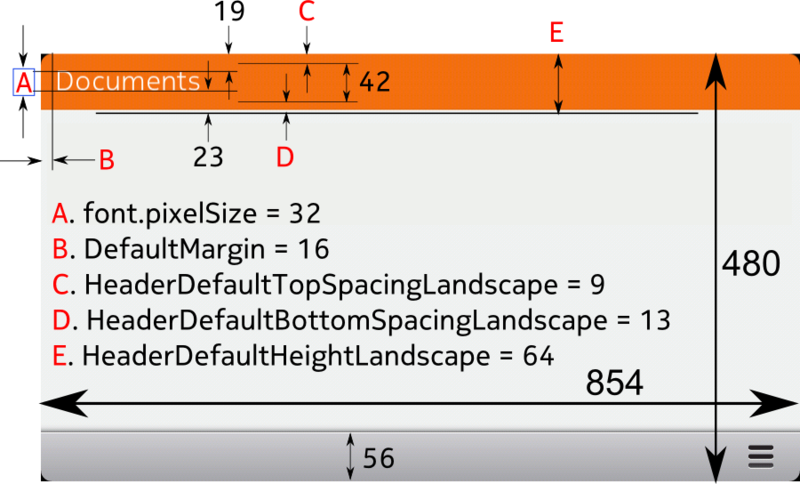 Basically this just requires that the page margins, header dimensions and font properties are set according to the N9 UI guidelines. 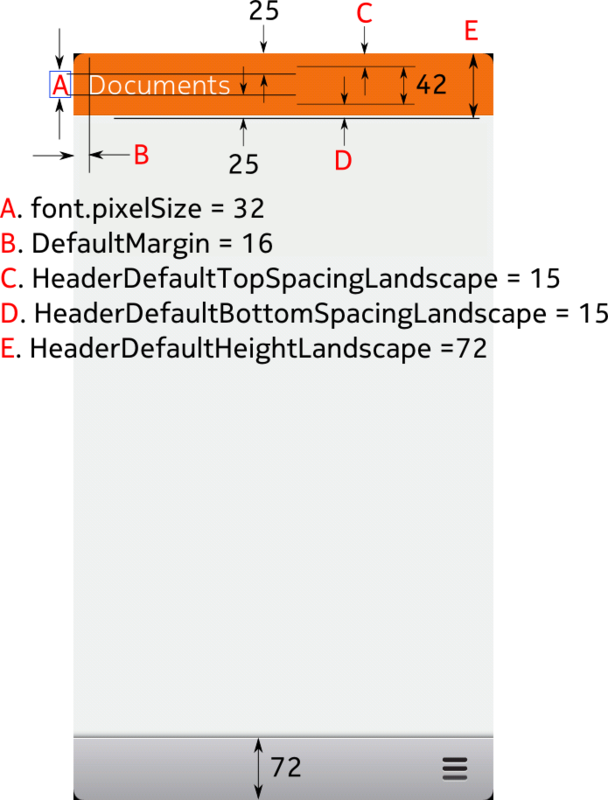 The view-header dimensions and text position depend on the screen orientation. I have annotated the relevant parameters into the following figures. Here is the main.qml file. Note the import command in the beginning of the file. After importing the appConstants.js the variables can be used directly or by assigning the variable values to properties. 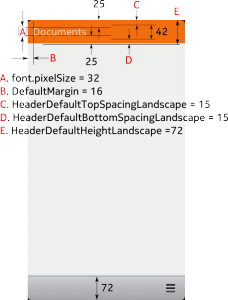 I will use properties to define the header dimensions as they depend on the orientation. I can use the onInPortraitChanged event handler to set the property values. The header is defined in the file Header.qml. 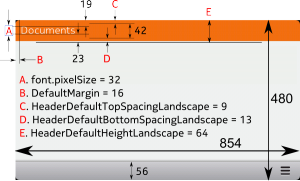 The header depends on the main.qml properties that define the header dimensional parameters. The header text is set with the headerText property that will be defined when the header is instantiated in the MainPage.qml file. The header and the header button images are loaded from the standard theme directory (image://theme) depending on the currently chosen color scheme (theme.colorScheme). Note also the usage of the theme.inverted property (can be toggled with the Invert button). 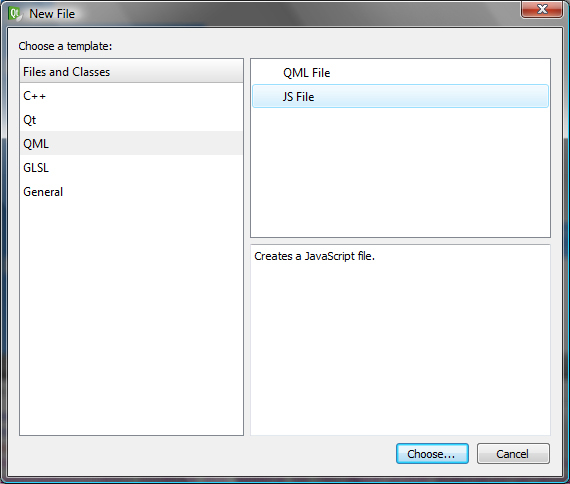 The MainPage.qml file loads the Header component from Header.qml and sets the header text (“TestApp11”). 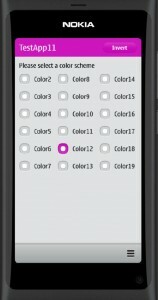 The currentColor property is used to keep track of the currently chosen color scheme. 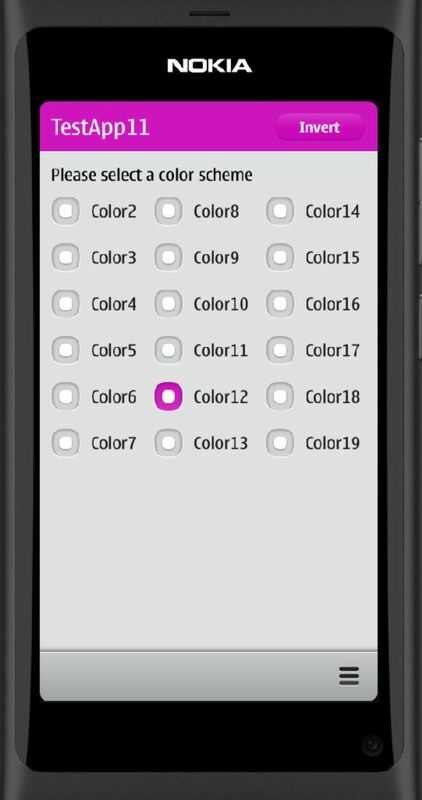 The color selection is done with a set of radio buttons arranged inside a Grid component. Note that the number of columns in the grid is dynamically set based on the screen orientation (nColumns is set in main.qml). Let’s run the application in the simulator. 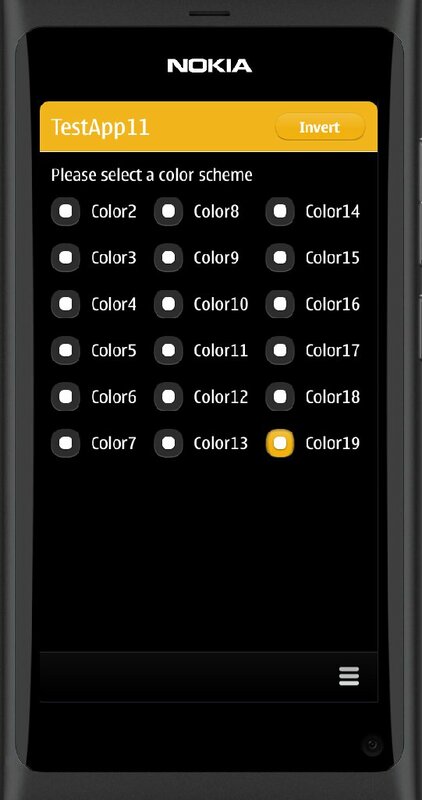 When a color button is clicked the theme changes accordingly. And the invert button will invert the theme.